This shouldn’t be surprising, right? In an analysis done by TRAI, Airtel has emerged as the most congested GSM network for the period of Oct-Dec. During this period, Airtel had 14 POIs (Point of Intersection) with congestion followed by Vodafone who had 12 and Reliance Communications and Idea with 11 each. Note: POI signifies the ease with which a customer of one network is able to communicate with a customer of another network. This parameter also reflects as to how effective is the interconnection between two networks. TRAI has set a benchmark of less than 0.5 percent, which means out of 200 calls between two operators, there should be a single call facing a congestion problem. If the recent proposal from the Indian Cellular Association (ICA) to Telecom Regulatory Authority of India (TRAI) is approved, 50M below the poverty line (BPL) families could receive a free phone along with a cellular connection. The initiative put forth by the ICA which includes members like Nokia, Motorola, Sony Ericsson is pretty interesting with an aim to further penetrate rural areas as well as disseminate local information like weather, news etc. with the help of call centres in the regional languages. ICA plans to provide a basic phone with AM Radio functionality and a free calling package of up to 100 calls per month/family for a period of 2 years. 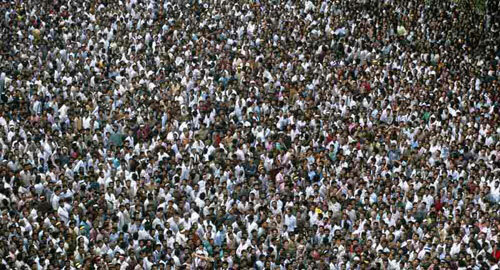 The total estimated cost of this initiative is expected to be around Rs. 4000-5000 crores. However, all this totally depends on TRAI’s approval and looking at their way of working this seems to be a tough ask. What was decided or heard about till now was that a user would have to pay a charge to change his/her operator, which could sum upto Rs.300 or more. However, the telecom regulators have taken the responsibility of fixing this charge and making it a standard in the sector, thus disallowing any kind of malpractice. 3G on TG: 3G Auction delayed again! With the 3G spectrum allocation being talked about in every business newspaper and the dates being changed every fortnight, we give you this update on what’s going on. Dates: We brought you the official dates for the auction some weeks back. Till then the 16th of January was the day when the process was planned to begin. However, with the Cabinet and the Telecom authorities not coming to common terms, this date was shifted to the 30th of Jan. Things got worse, when the dates were further delayed, as the Cabinet was to view the suggestions put forth by the Dot not before mid-Jan. Also, the auction would not take place till all the ministries, the Cabinet and the telecom authorities come to a consensus. At present, the process is set to begin in mid-February. This too, seems to be a very optimistic date. 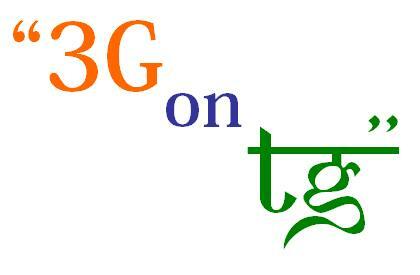 [Read more…] about 3G on TG: 3G Auction delayed again!